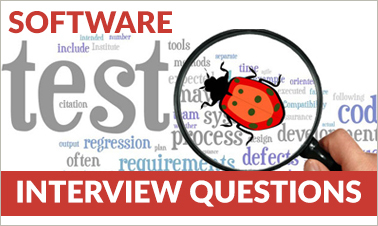 In this software testing interview questions, you will learn the top questions asked in organizations to clear the software testing job interview. After studying these interview questions you will learn performance testing tools, difference between debugging and software testing, bug life cycle, Requirement Traceability Matrix, role of QA in project development, test fusion report of QTP and more. Learn Software Testing from Intellipaat Software Testing course. A technique of software testing where the application is tested by ingesting inputs randomly. This test does not follow any pre-defined set of rules. It is carried out to check the behavior of the application. 3. What is the difference between baseline and benchmark testing? While Baseline testing runs a set of tests to determine the performance, Benchmark testing compares the application performance with industry standards. Baseline testing strives to improve performance with the help of collected information, on the other hand, benchmark testing seeks to improve application performance by matching it with benchmarks. Become Software Testing Certified in 20 hrs. 4. Explain bug life cycle. • When a tester finds a bug, the bug is assigned NEW or OPEN with status. • The bug is assigned to Development Project Managers who will analyze the bug. They will check whether it is a valid defect. If not valid, the bug is rejected, and its new status is REJECTED. • If test case fails again, the bug is RE-OPENED and assigned to the developer. Click here, to become an expert in Software Testing through online training. 5. How can we perform Spike testing in JMeter? JMeter comes with a synchronizing timer which can handle the requests of multiple threads. It is able to get the required number of threads and release them at once to cause a spike. 6. What is Silk Test? Silk Test is a tool developed for performing regression and functionality testing of the application. Silk Test is a tool, used when we are testing the applications based on Windows, Java, Web or traditional client/server. Silk Test helps in preparing the test plan and managing of those test plans to provide direct access to the database and field validation. 7. Define Requirements Traceability Matrix. 8. What is elementary process? – Dynamic elementary Process: The dynamic elementary involves process of moving data from one location to another. The location can be either within the application or outside it. – Static elementary Process: It involves maintaining the data of the application. 9. Highlight the role of QA in project development. Click here to learn more about software testing, in this Software Testing training course. 10. What are the tools of performance testing? LoadRunner(HP): This testing tool contains a wide array of application environments, platforms and databases. It is typically suitable for web applications and others. QAload(Compuware): This tool is used for load testing of web, database and char-based systems. WebLoad(RadView): It is used to compare running tests with test metrics. Rational Performance Tester (IBM): It allows finding out the presence and cause of bottlenecks. Silk Performer (Borland): This testing tool lets you predict the behavior of e-business environment. 11. Explain the concepts of Test Fusion Report of QTP. Test Fusion report displays different aspects of the test run, soon after the tester runs a test. The Test Fusion report is used to display all the aspects of test run, it specifies where the application failures occurred, the test data used, and the detailed explanation of every checkpoint stating pass or failure and the application screen shots of every step by highlighting the discrepancies. – Test Fusion Report is a compilation of the entire testing process. It includes an overview of where the failures occurred, the test data that was used in testing, screen shots to support inconsistencies and detailed view of checkpoints. "8 Responses on Top Software Testing Interview Questions And Answers"
I just completed my training as a QA Tester; this is great! Great article! Brings together really valuable information on different forms and approaches of testing. 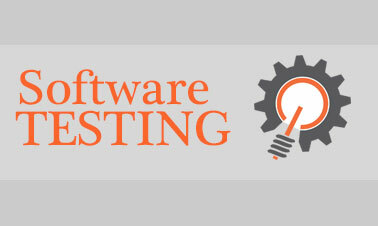 Sign Up or Login to view the Free Top Software Testing Interview Questions And Answers.